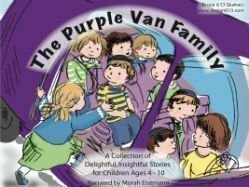 The Purple Van Family is an hour and twenty minute long CD, featuring eight delightful, insightful stories about a family who travels everywhere in their big purple van. There is Shani (who is very shy), Simcha (who tells a lie), Donny (who returns the sand pail), Benny (who hates being the baby), Yossi (who can’t stand seeing a hungry dog), Tzippi, (who is afraid of making a mistake in first grade,), Henny (who will do anything to be popular), and Shifra (whose imagination is just a bit too good), and a wise Abba and Ima behind the scenes. Great for bedtime, and for listening to in the car, the stories are particularly suited to listen to during sefira and the three week, since they are just stories with no music. 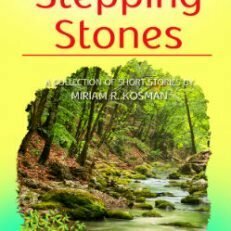 The stories were written by Miriam Kosman, who also wrote the books, Family for Awhile, Stepping Stones and Red, Blue, and Yellow Yarn and are narrated by Morah Eisemann, a well- loved kindergarten teacher in Baltimore.